Astronauts who return to Earth after long-duration space missions suffer from untreatable nearsightedness. Scientists have now isolated the cause, but finding a solution to the problem will prove easier said than done. The problem, say researchers from the University of Miami Miller School of Medicine, has to do with volume changes in the cerebrospinal fluid (CSF) found around the brain and spinal cord. Prolonged exposure to microgravity triggers a build-up of this fluid, causing the astronauts’ eyeballs to flatten, which can lead to myopia. A build-up of CSF also causes astronauts’ optic nerves to stick out, which is also not good, as the optic nerve sends signals to the brain from the retina. This is causing nearsightedness among long-duration astronauts, and it’s problem with no clear solution in sight (so to speak). It’s well documented that astronauts who fly long-duration space missions suffer from blurry vision upon returning. “People initially didn’t know what to make of it, and by 2010 there was growing concern as it became apparent that some of the astronauts had severe structural changes that were not fully reversible upon return to earth,” noted lead study author Noam Alperin in a statement. The syndrome, dubbed visual impairment intracranial pressure (VIIP), was reported in nearly two-thirds of astronauts following long-duration missions aboard the International Space Station (ISS). 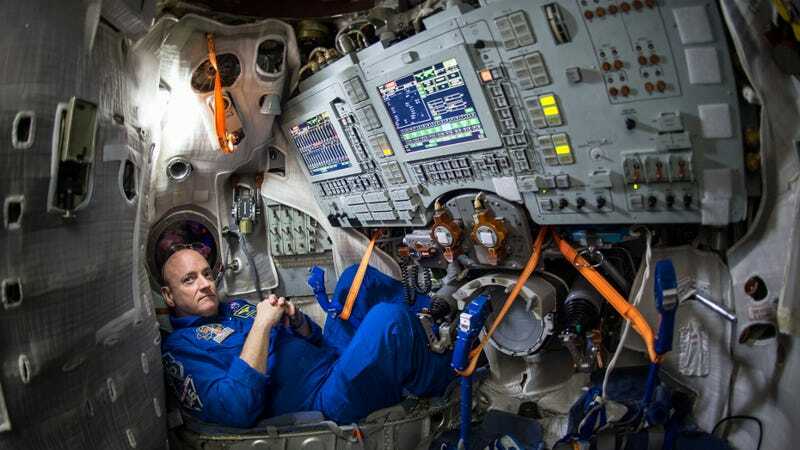 Prior to the new study, scientists thought the problem had to do with a shift of vascular fluid towards the upper body during exposure to microgravity. The new research (which will be presented today at the annual meeting of the Radiological Society of North America), points to the normally protective cerebrospinal fluid as the likely culprit. On Earth, the CSF system can accommodate sudden changes in pressure, such as when a person rises from a lying position to sitting or standing position. But in space, this system is confused by the lack of the posture-related pressure changes. Brain scans taken of astronauts both before and after long-duration space missions revealed the flattening of the eyeballs and increased optic nerve protrusion. 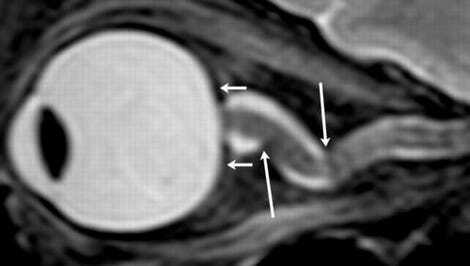 Importantly, the astronauts also exhibited significantly greater post-flight increases in CSF volume in the area around the optic nerves and the cavity where CSF is produced. Armed with this new information, scientists will now have to find a way to prevent this from happening (artificial gravity, anyone? ), and to treat the condition when the astronauts arrive back on Earth (laser eye surgery is one possibility, but this procedure may not address the full scope of the damage done). In the meantime, space will continue to be a discouragingly inhospitable place for humans.